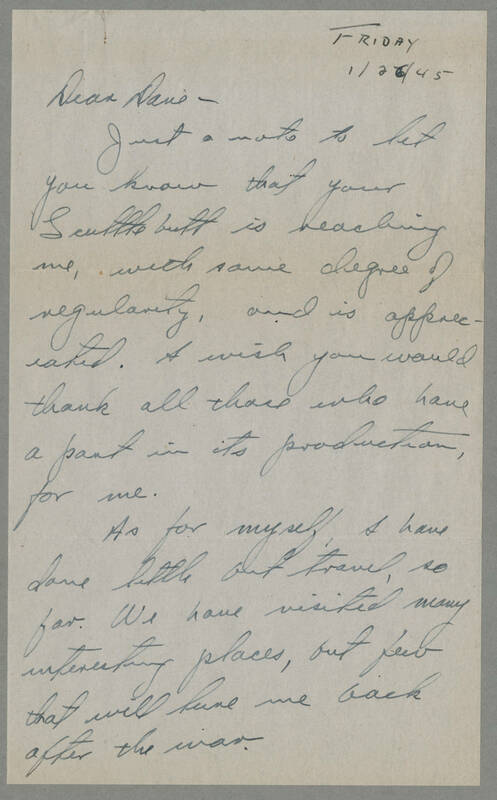 FRIDAY 1/26/45 Dear Dave, Just a note to let you know that your Scuttlebutt is reaching me, with same degree of regularity, and is appreciated. I wish you would thank all those who have a part in its production, for me. As for myself, I have done little but travel, so far. We have visited many interesting places, but few that will have me back after the war.